The Harrisburg Senators and Bethesda Mission are teaming up to raise money and create awareness for homelessness in Harrisburg. 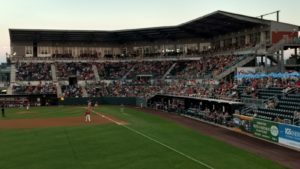 On Friday, May 24th fans will get the chance to watch a Senators game, watch fireworks, and then spend the night on the boardwalk of FNB Field in your personally-created box shelter. The movie “Same Kind of Different as Me” will also be shown prior to bedtime. Contact Jessica Henry at jhenry@bethesdamission.org or 717-257-4442, ext. 229 with questions. Call to reserve space for your group.